Our vehicles are usually one of the most valuable assets we own. It makes sense to protect this investment from a financial perspective, as well as one of personal pride. Cars are useful tools that help us get around, but many of us form bonds with our vehicles that go beyond the merely practical. 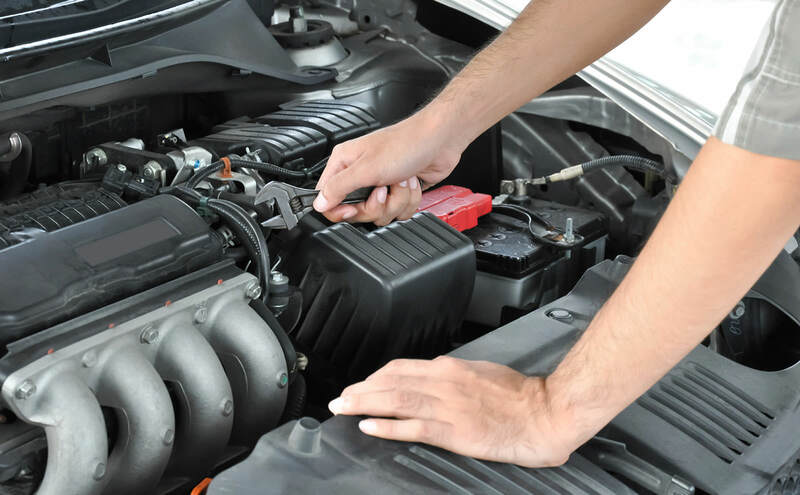 Getting to know a few simple maintenance procedures mean your car will run better, for longer. Being able to do some of these jobs yourself will also save you money. Checking your tire pressure regularly is one of the most often overlooked steps of vehicle maintenance – it is also one of the simplest. Check your tire pressure weekly, as well as inspecting them for cracks or bulges, as these could be signs of imminent failure. Make sure to check your tire’s pressure when the tires are not hot, as recently-driven wheels will provide a false reading. Defective tires are a serious safety concern. Improperly inflated tires reduce your braking ability, shorten the tires’ life, lessen your fuel economy, and cause handling issues. Check your owner’s manual for recommended tire pressure. Changing the wiper blades is another job that can easily be done at home. If your windshield is left streaky or dirty by old wiper blades, it’s time to replace them. Simply lift the blades up, like you do when you wash your car, and observe how the blades attach to the wiper. slide the old ones out, and slide the new ones in. Certain car models have a tab that holds the blades in place. If your wiper blades aren’t coming out easily, check for this tab under the wiper, push it, and slide the blade out. Oil is a vital fluid for every vehicle. Without oil, engines would quickly overheat and spinning parts would generate so much heat from friction that they would weld together. Use your dipstick to check your oil often, especially if it has been more than 5000 kilometres since your last change. Your dipstick should have grooves that indicate proper oil levels. Pull your dipstick, clean it with a piece of paper towel, put it back in, remove it again, and observe where the oil comes to. Changing your car’s oil is more complicated than replacing your wiper blades or filling your tires but is definitely achievable for a dedicated motor enthusiast. Make sure you drain oil from the engine as well as from the oil pan to ensure a full replacement. Each model of vehicle has a different indication of when the brake pads need to be replaced. Consult your owner’s manual to learn about your vehicle’s brakes. Replacing the brake pads is a delicate job, so if you are not extremely confident, it’s probably best to leave this job to the professionals. A small mistake in brake pad installation could have serious consequences. Your owner’s manual will tell you when it’s the right time to replace your spark plugs. If you notice your vehicle misfiring, surging, consuming extra fuel, or having trouble starting, you may need to replace the spark plugs. Spark plugs ignite the fuel in the cylinders, so it isn’t hard to see why they are important components. Like brake pads, installing spark plugs is a complicated job, and should probably be left to professionals. Proper maintenance of your car is as much a safety concern as it is a matter of financial interest or pride. Money spent on proper car maintenance is well worth it – it is always cheaper to prevent an issue than to fix one. You owe it to yourself and to others on the road to properly maintain your vehicle, and besides, nothing makes us feel as good as a smoothly working vehicle. If you think your vehicle is in need of some attention, stop by or give us a call.